Assistant coach JayVon Nickens will act as interim coach this season for a team that's seen many of its top players transfer. 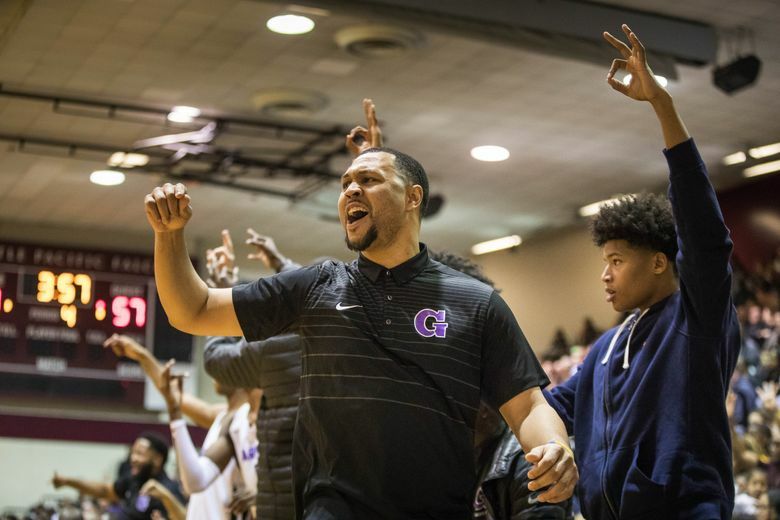 Garfield announced Thursday that boys basketball coach Brandon Roy will take the 2018-19 season off and return in 2019-20. JayVon Nickens, who was part of Roy’s coaching staff the past two years, will serve as interim coach. Roy was unavailable for comment. The school did not disclose why he is stepping away for the upcoming season. Nickens is a Garfield alum who helped the program win a Class 4A state championship in 1998. He joined Roy’s staff when the latter began his high-school coaching career in 2016-17 at Nathan Hale, helping the team with the top player in the nation in Michael Porter Jr. to the Class 3A state and national titles. When Ed Haskins left Garfield to be an assistant coach at Washington State following the season, Roy took over and his staff, including Nickens, transitioned to Garfield. Two players from Nathan Hale followed and led Garfield to the Class 3A state championship in March. But none of the expected returning players from the Bulldogs’ title team will join Nickens this season. Senior Jamon Kemp, a three-star forward, and junior MarJon Beauchamp, a five-star guard, transferred to Rainier Beach to play for coach Mike Bethea. TCU commit P.J. Fuller, a four-star senior guard, moved to Nevada where he will attend Findlay Prep. Senior guard Pierre Crockrell Jr., a three-star recruit, recently announced he transferred to Federal Way where he’ll play for coach Jerome Collins. Garfield has five touted freshmen Nickens said will help the Bulldogs stay atop the Metro League. Highlighting the pack are wing Tremaine Guidry and guard Koren Johnson, who helped Seattle Rotary advance to the Jr. NBA World Championship played in Orlando in August. Roy had a 57-1 record over the two seasons, and was named Naismith National Coach of the Year in 2017. Garfield said it mistakenly posted his position as a job opening, but the school is conducting a search for a girls basketball coach and expects to make that announcement by October.